Tapani Vuori has “hit the ground running” as Pacific Whale Foundation’s New Regional Manager, says Greg Kaufman, President and Founder of Pacific Whale Foundation (PWF). 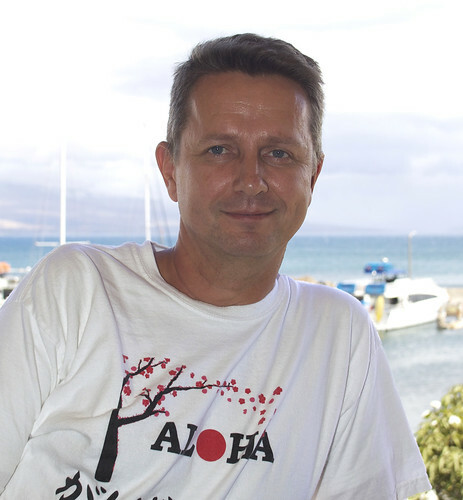 Tapani comes to the PWF with more than 25 years in retail, the last nine as Maui Ocean Center’s Retail Director. Vuori directed the high-end retail operation at Maui Ocean Center and managed a staff of 26. While there, he also led the opening of a retail operation at Maui Ocean Center’s sister aquarium in Palma de Mallorca, Spain, in 2007. Vuori previously served as the General Manager of Finlandia Furniture and the General Operations Manager of Computer City/Compuworld, a computer superstore with 135 employees. Vuori has also founded two businesses. Moomin Shop is a successful specialty cartoon shop and Pilo Furniture was a high-end European specialty furnishings company. The stores serve visitors and residents of all ages. PWF stores currently sell educational books and videos about whales and the oceans, logo shirts and clothing with an ocean theme, cameras, binoculars and gifts. The stores support PWF’s marine education, research and conservation programs. PWF’s Ocean Stores are located at 612 Front Street in Lahaina and at The Harbor Shops at Maalaea next to Maui Ocean Center. Store hours are 6:30 am to 8:30 pm daily in Lahaina and 6:00 am to 6:00 pm daily in Maalaea. To learn more, visit wwww.pacificwhale.org.